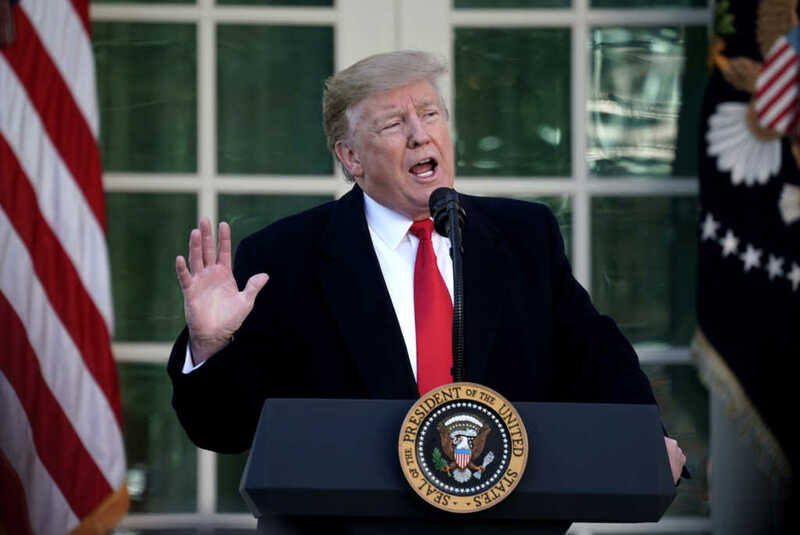 President Donald Trump is reportedly planning to put the abortion debate front and center during his State of the Union address Tuesday night. While the fight over border wall funding — a must-have for Republicans and a must-not-have for Democrats — will certainly be the elephant in the room, Trump plans to capitalize on the backlash over New York’s new law protecting late-term abortion. According to a report from Politico, Trump is planning to focus some of his hour-long address to Congress and the nation on the Democrats’ push to radically expand access to abortion. In addition to New York, lawmakers in Virginia, Rhode Island and Vermont have tried to expand access to abortion in their respective states. Embattled Virginia Gov. Ralph Northam (D) defended a since-failed bill sponsored by Del. Kathy Tran (D). The legislation would have legalized abortion up until the point of birth. Northam, describing how the law would work during an interview last week with WTOP-FM, said a newborn baby would be “kept comfortable” and “resuscitated, if that’s what the mother and the family desired” while the mother and her doctors would discuss the infant’s future. Trump weighed in on the Virginia law and Northam’s comments last week, telling The Daily Caller he was surprised to hear the governor’s statements to WTOP.